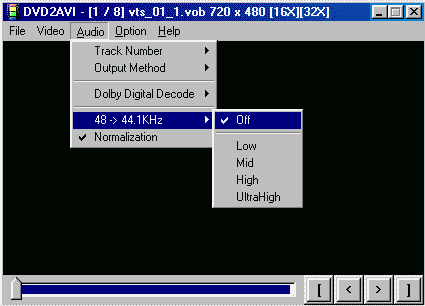 Use the blue menu here below to navigate. 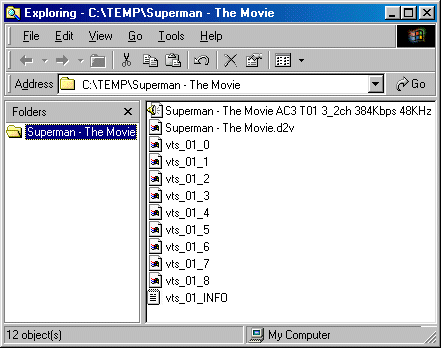 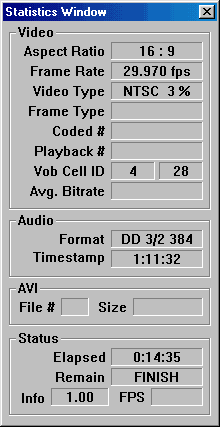 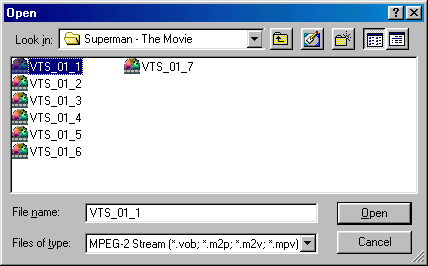 Step 1 - Press "File" and "Open" (1a), Select the first VOB file of the movie (1b), and This will automaticly select all the VOB's that follow (1c). 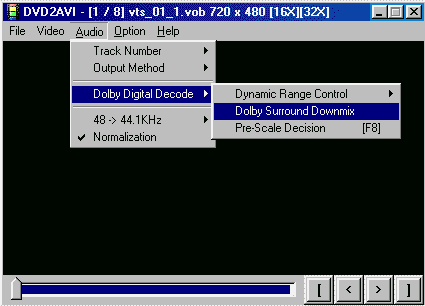 Step 1d - This is an Optional Step! 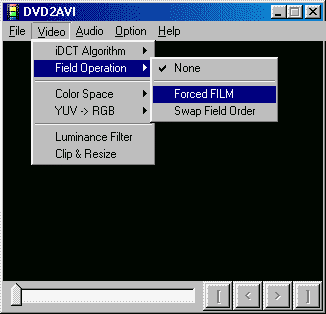 - Some movies may come in the Film format which is 23.976 fps instead of the regular NTSC 29.976, so you might want to enable the Force Film feature of DVD2AVI, go to the "Video" menu and select "Field Operation" and then press on the "Forced FILM" and this will create a D2V file using 23.976 fps. 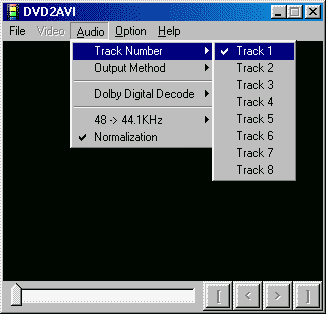 Steps 1e/1f - Go to the "Audio" menu and select " Track Number" and then select which track from the Movie you want to create as a WAV (most movies have the English Track on the Track 1). 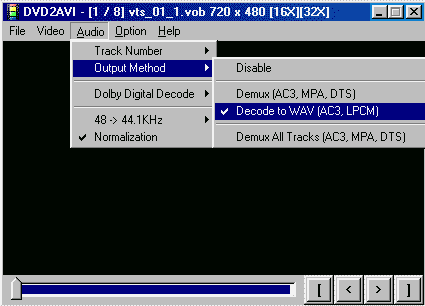 Click again on the "Audio" menu and select "Output Method" and make sure you are selecting "Decode to WAV (AC3, LPCM)" option, so it will create a usable WAV file for TMPGEnc and not AC3 track! 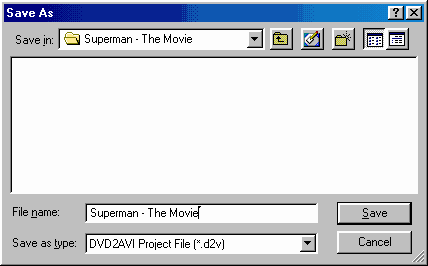 Step 2a/2b/2c - Press "File" and select "Save Project" ( 2a), a popup window will appear, here you will input the filename ( 2b) this part takes awhile, so when you see in Status near Remain: FINISH, you are done (2c), next you will check that all the files needed for TMPGenc are present, the VOB, D2V & WAV (2d). 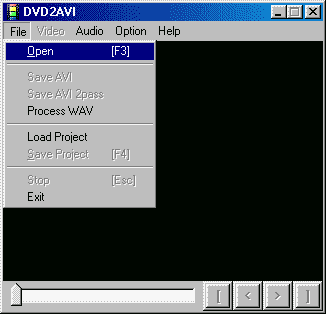 Step 2d - If you managed to follow all instructions correctly, you should now have a WAV file and a D2V file in your VOB's folder.